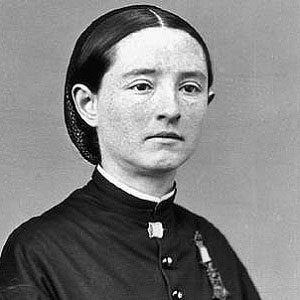 Iconic feminist, abolitionist, prohibitionist, and surgeon who, after the Civil War, became the first woman ever to receive the Medal of Honor. She was the only woman in her class at Geneva Medical College, where she graduated in 1855. While working for the Union Army as a surgeon during the Civil War she was captured by the Confederate Army and was held as a prisoner of war in Richmond, Virginia. She had four older sisters and one younger brother. She was recommended for the Medal of Honor by General William Tecumseh Sherman.